Right from the beginning, the authors make it clear who is the main audience of the book. Designers and production managers – people who decide how the final product should look like. My own perspective is quite different. Usually, I make all decisions regarding book development on my own, taking the client’s input into account. From cover design to book format, from binding style to brand of paper used to make a book block. At the same moment, I’m sure this book may also be useful in helping a bookbinder to understand what his or her client does not know about books and bookmaking, and what should be explained. In the end, this may make the creative process more pleasant and productive for both sides. In explaining how the different books formats work, authors make a point, that book is more than the information it contains. The form of the book, type of the binding, some creative decisions, may influence how the book is perceived by a reader/user. As the book is not a tutorial but a reference guide, you will find lots of lists and ideas that may help you to better interact with clients and final users. When I read it, multiple times I thought: “Well, that’s what I always forget to discuss during the initial negotiations.” Sometimes this sort of forgetfulness may lead to a huge misunderstanding at the moment of passing the finished work to the customer. Other my sentiment upon reading the Bookbinding: A Comprehensive Guide to Folding, Sewing, & Binding was that some bookbinders tend to never get out of their comfort zone. Repeating the same patterns, techniques, and binding styles again and again. I know that because I was a victim of that rigidity too. However, I am lucky to be not only a bookbinder but also a bookbinding teacher. Having to prepare for different classes, I had no other choice but to experiment and try new things. This rigidity influences not only the choice of binding styles but also types of materials you may choose (or offer for the customer consideration), and many other things. Just by reading the blurbs at the beginnings of each section, I was reminded of the multiple choices I may have forgotten during my past projects. The copy I’ve got is published for the North American market, hence many of the measurements and formats are given in inches and correspond to the standards adopted in the US. However, you will find remarks on margins concerning other formats too. The original book was published in German by the Verlag Hermann Schmidt. There also is a British edition by the Laurence King Publishing. If you plan to search for the latter one on the internet, please use the following title: Bookbinding. The Complete Guide to Folding, Sewing & Binding. It differs from the American just a tiny bit. 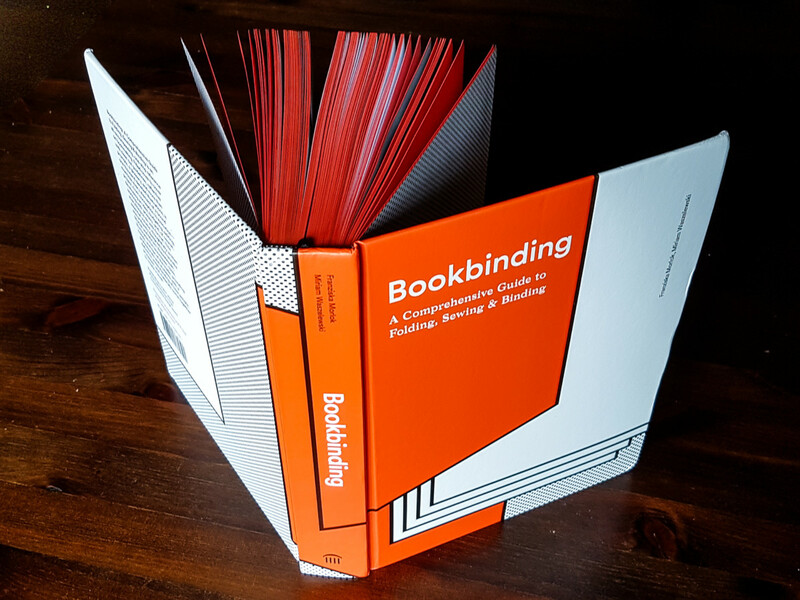 Bookbinding: A Comprehensive Guide to Folding, Sewing, & Binding may be split into five parts. The first chapter is the shortest one and includes a useful visual guide of different types of folding, binding, and trimming. There also are two spreads dedicated to book anatomy there. Next, you will find all you need to know about How to develop a print project. That’s the chapter I kept in mind while writing about all the questions I forget to ask my customers upon the initial negotiations. Evidently, that’s exactly that piece of knowledge many managers, designers and print technicians lack. Or, at least, prefer to forget about, if we have to judge their work by the books available on the mass market. There also are some practices listed. You may find them to be useful even in low-scale and hobby projects. For example, during my classes, I always teach to leave collating marks that would be seen on the spines of the books. In my whole teaching experience, I had only one or two students, who knew what they are, and why they are needed. Even while some of them worked in publishing houses or other businesses related to bookmaking. Here, in this chapter, you will find all the basic information you need to know about these marks and much more. The third part, The book as an objet d’art, may be considered an expansion to the visual guide in the beginning. It offers a dozen or so of different not-so-standard book structures in all their monochrome beauty. Then comes the part closest to what you may find in any bookbinding tutorial. In three chapters you will find out everything you need about folding, stitching, gluing a book, presented in short bursts of information. As well as the difference between hardcover and softcover books, and their respective subtypes. Even while all the information is provided in the most efficient way, this triadic section of Bookbinding: A Comprehensive Guide to Folding, Sewing, & Binding occupies more than a half of the guide’s volume. Finally, there is a section dedicated to the additional information on design specification. It provides ample data on how materials and auxiliary elements of a book may influence its durability, ergonomics, value, and price. If you just started making books as a hobby, remember, this guide is not a bookbinding tutorial. 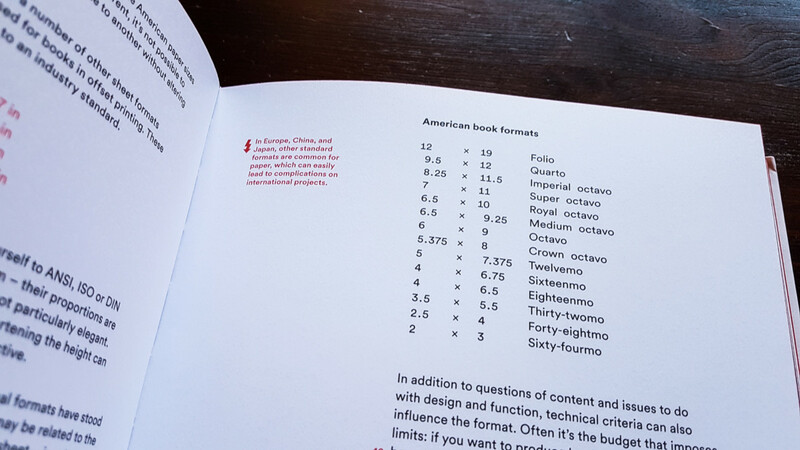 It would be better to spend these $65/£45/50€ on some other things, like Bookbinding. Its Background and Technique by Edith Diehl and my favorite visually beautiful guide by Josep Cambras The Complete Book of Bookbinding (and you even won’t spend the half of the sum). The Guide is definitely an essential reference source for all the professionals who are in charge of making decisions related to book production or who are ordering bookbinders’ services. 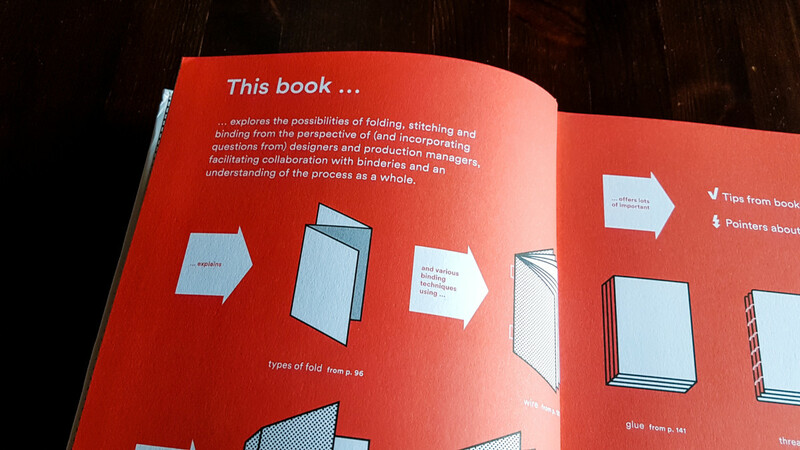 At the same time, I see it as a useful thought-provoking material for bookbinders themselves. It may help one to come out of the comfort zone and try some new styles, formats or materials. At least, that’s exactly how I plan to build my relationship with this book. Moreover, it explains some technical things we all depend on. Like why there is a grain direction in the manufactured paper. Not only how to find that direction, and how the paper should be oriented in a book block (the thing many decision makers forget about when publishing a book). I know these technical details may sound like useless factoids, but it is my belief, that better understanding of these basics leads to better results in both the work of managers/designers and bookbinders. So, if I didn’t receive a copy of the book for a review and if I knew everything I know about it now, I would have definitely bought the Guide. I have received this book from the Princeton Architectural Press (New York) for a review, free of charge. However, I don’t think it affected my judgment in any way.